After learning all about Brachot we hopped on the bus off to the science museum for some educational fun, we saw all sots of amazing things including the effects that one can do with lighting as was shown in the light show. Friday, WOW the week went fast........ In honour of shabbat we tempted to bake challah, but turns out that challah doesn't bake so well in a broken oven, but it was alright because we took the dough home and baked it in our own ovens. We made a gorgeous 'Welcome sign' for their home, as we learnt all about the mitzvah of "Hachnasat Orchim" inviting over guests. We ended the day with a sports game, so that the day could end with a bang! We were all excited for first day back in camp (2nd week) as we finally got divided into our bunks. Tzedaka, Tzedaka, Tzedaka, that is what we give, but its pretty difficult to give Tzedaka without a Tzedaka box...But have no fear as a Tzedaka box was our Arts and Crafts for the day! painting, glueing, sticking, WOW! So much fun! (Parents please make sure that your kids are putting money into the box each day). Tuesdays here, and kashrut was first on the list of the day! we learnt all about keeping kosher and how it effects our daily lives. We had a quick lunch and off we went onto the bus for our afternoon trip. for the younger group we were able to release some energy by bouncing around at lollipops. For the older kids we cooled down in the ice skating ring, even though the ice wasn't fully frozen and we were skating on slush, we couldn't have asked for a better trip. On Monday we introduced the theme of ican where the children began to learn about Mitzvot that they can do on a daily basis to help make a difference and change the world. Each day we will focus on another mitzvah which we CAN do. Beacause it was Ahavat Yisrael day we make beautiful picture frames and will be putting a picture of everyone together inside it, as to love a fellow Jew we all have to be united as one. After various activities such as handball and gaga we jumped head first into the pool for a afternoon swim. the day ended with a splash. Tuesday was Davaning Day and we made creative book marks to put into our siddurim where we wrote names of people who need our prayers, so we can pray for them daily. After all sorts of games we jumped onto the bus for a nice afternoon of bowling, we didn't care who got the high score.... we all won by having fun! Wednesday came and we learnt all about being tznius not only in what we wear but how we conduct ourselves in public. We had a hunt where we had to find the uniform of the people dolls that we were given, each doll was defined by its cloths (policeman, fireman, doctor... etc.) so to we are. After getting all sweaty by playing charades and prisoner, we cooled down the day with a refreshing swim. Oh! and remember to check out our Photo Album for Pictures from camp. Thank you for booking your child/ren into Camp Gan Israel summer program. As usual we have an exciting, fun-filled schedule planned for your child/ren. Below is a camp timetable including the days we are going on outings and swimming. Please Note: Friday Jan 8 camp will conclude at 1:30pm and Thursday Jan 14 camp will conclude at 5pm. After camp on Thursday the 14th we will hold a special evening program and sausage sizzle to which parents and family are invited to join us and be entertained by the campers who will be putting on a special skit. Campers will remain at camp and the sausage sizzle and skit will be held from 6pm – 7.30pm. The cost for this special evening program will be free for campers and parents and family, who are welcome to join from 6pm will be $5 per person. For catering purposes please advise if you wish your child to participate and how many of your family members wish to join the sausage sizzle and skit. If you require transportation please contact Chabad House on 3843 6770 or Rabbi Jaffe on mobile 0419 136451 as early as possible. 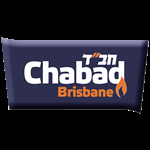 Please visit our website at www.chabadbrisbane.com where you will find information about camp and a host of other interesting information and articles. Online registration is also available through the website. For the safety of your child/ children please pick up your child/ children promptly at the conclusion of camp. We cannot be responsible for children after camp is over. Please ensure that your child/ children are sun screened before camp and that they are provided with sunscreen and hats to use during the day. No Hat No Play. On swimming days please send togs and towel with your child/ children. Please ensure that all items of clothing are clearly labelled. Please fill in the attached permission slip and if you have not yet done so also the application & medical form which you should have received by mail and send them with your child to camp together with your camp fees. We are looking forward to a great camp experience with your child/ children.